The annual UK Traveller Trophy series has begin, with the first event being held at Frampton on April 19th. David Greenfield supplied this report and photo. After the cancellation last year due to weed problems, the Frampton TT was moved to April and became the 1st in the 2017 National Traveller series. The day started bright and sunny as the competitors turned up to race. Unfortunately the wind was not so good. It was varying from 0 – 6 mph and varying through 180 degrees, a testing time for the OOD Ken Elsey. Whilst he pondered on the course the competitors signed in, rigged there boats and tucked in to Hot drinks and Bacon Rolls. Eventually a course was set and the 12 competitors in the 4 classes set off to the first of 2 back to back races. Across the course the wind was variable in strength and direction giving some very interesting position changes, during the second race the conditions were the same which gave different winners of both races for all classes except 303 one person where Mike Everitt scored two wins. Off the water for lunch and after a good Lasagne and Salad the competitors were out again for the last two races. 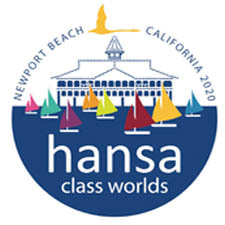 The wind conditions stayed the same for both but David Durston (Liberty) and Lindsay Burns (Hansa 2.3) managed to interpret the conditions the best for the two races, each winning both races in their respective classes. So ended a day of pleasant sunshine but testing wind conditions, with the changing fortunes in the races the final overall placings for three of the classes were decided on the last race. The competitors thanked the club for running the event before departing home. 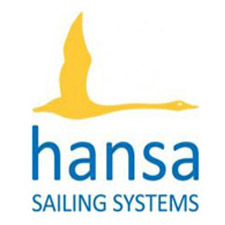 Cumulative results will be available on the UK Hansa Class website via this link.